Much like the original series and the 2011 film, The Inbetweeners 2 remains an example of why British humour is so delightful. Set in Australia, the film follows Will, Neil, and Simon following Jay as he claims to be living a luxurious life down under on his gap year; it's no surprise he is lying, but the true reasons for his visit down under are soon unveiled and lead to yet another misadventure for the entire quartet. While it's characterisations are a little less developed than those in the original film, this sequel compensates with some of the best humour the entire franchise has ever seen and an amusing lineup of supporting characters. Seeing as it's the last we'll see of this lot, it sure is a worthy send off. Dawn of the Planet of the Apes is a superb sequel to an already brilliant reboot, and brings a strong emotional focus into a story that's beautifully rendered, with stunning motion capture effects and a number of thrilling set pieces. The story tackles nicely complex themes and perfects the necessary tension and eventual bond between these human and ape characters in a world of ruin. Combine this with a disturbing villain and brisk pace, and you have a film that sets the bar even higher for the future of this new franchise. Paddington brings a loveable children's character into the modern world with a smartly written comedy flick, appealing to both adult and child audiences, and being as heartfelt as it is funny. It's impressive special effects bring the eponymous hero to life with superb results; and thanks to a wonderful vocal performance by Ben Wishaw, he becomes a loyal yet fresh adaptation of the original character. A quirky line up of supporting characters and well timed jokes also bolster the irresistible sense of fun, so in spite of it's emotional moments, things are never too depressing and it's always a joyful experience from start to finish. 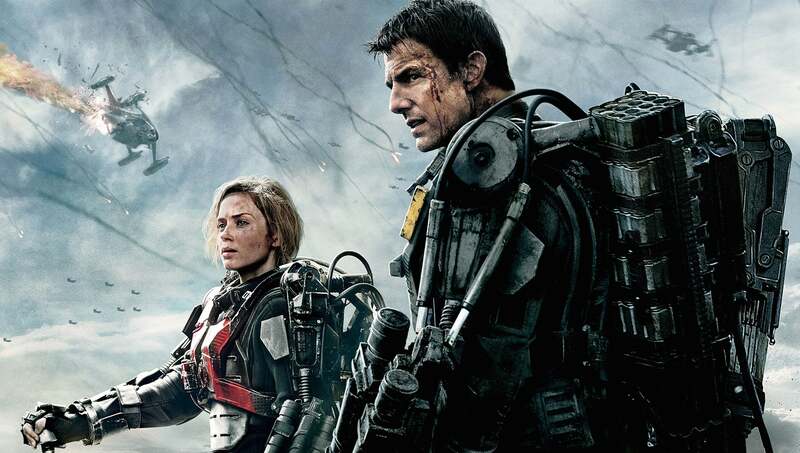 Nobody expected Edge of Tomorrow to be as good as it turned out to be thanks to generic marketing that made it look like nothing but a loud, explosive, and over the top blockbuster; reminiscent of countless Michael Bay or Roland Emmerich films. In reality, it is very different; it has the amazing set pieces we're shown in the trailers, but it's coupled with a clever script, a superb leading performance by Tom Cruise, and a lighthearted tone - it's a fun blockbuster that doesn't go down the gritty, moody route, and instead we can relax and enjoy a film that embraces it's over the top premise and makes clever use of it in the best possible way. I don't care if they want to rebrand it. It's Edge of Tomorrow to me. Nuff said. Guardians of the Galaxy is a similar deal to Edge of Tomorrow; while it got people interested, many doubted how it could be a huge success due to the obscurity of the superheroes involved, and the fact that this lineup only debuted in the comics six years ago. 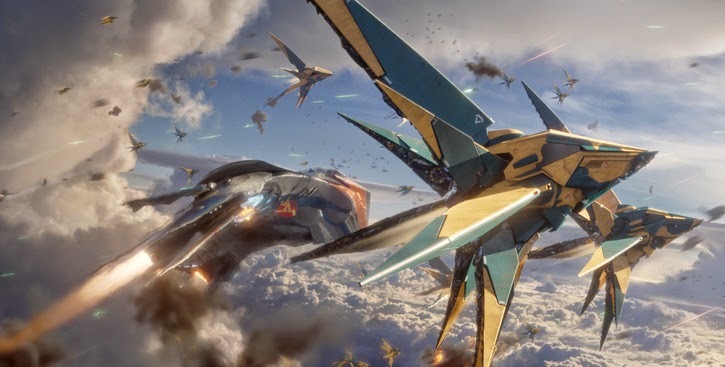 But, while Edge of Tomorrow failed to financially counter it's initial skepticism, Guardians most certainly did - and is currently the highest grossing 2014 film in North America with $332 million, though it may soon be surpassed by Mockingjay - Part 1 in the coming weeks. Similarly to Edge, Guardians is a blockbuster that embraces it's fun premise, zany characters, and occasional absurdity of the storyline - but it's still got a loveable tone and plenty of sweet moments to develop these characters successfully. It's never moody, dark, or overly complex - but plenty of fun, incredibly witty, and enriched with fantastic performances from an already exceptional cast. It's not only one of the best films the MCU has to offer, but definitely the best of 2014 by far.